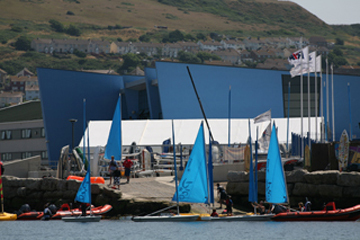 Weymouth is already a key sailing venue, making it the perfect setting for the Olympic Games, though it also makes it the sport that spectators have to travel furthest from London for a chance to watch. 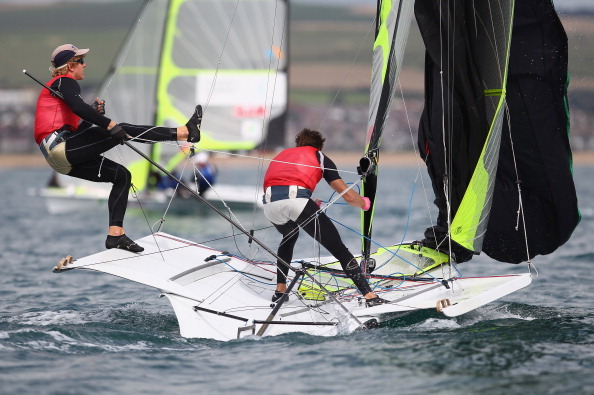 Opened in 2000, the site was built at the location of a former Naval Air Station at Portland, and it has hosted the 2006 ISAF World Youth Championships and the RS:X class World Championship in 2009. Team GB will have high hopes of success in the sailing, having been the most successful nation in the discipline for three Olympic Games in a row. Improvements to the venue were made to get it ready for London 2012, and were completed in 2009, including a new permanent 250 metre slipway, and improved mooring and lifting facilities. An intelligent traffic light system was installed as part of a £9 million scheme ahead of the Olympics to accommodate the extra visitors to Weymouth and Portland. During the Games coaches, sailors and other officials will stay at Officer's Field in Osprey Quay, in low carbon homes which will be sold after the Olympics, 25 per cent of which will be affordable housing.